The vision of our founders Jason and Paulina Smith has always been to make physiotherapy services accessible to all people. Many Australians are fortunate enough to be able to visit a Back In Motion practice to receive treatment for their physical health concerns. There's also a portion of the population, living below the poverty line in our major cities and those situated in remote areas who are unable to access vital physiotherapy and healthcare services. For this reason, the SOS Health Foundation was conceived. Now the SOS Health Foundation is supported not only by Back In Motion but the broader Physiotherapy and Allied Health industry. SOS Health mobilises physiotherapists and other volunteers to provide support to those who would normally not be able to access or afford life changing healthcare. Learn more about the services SOS Health Foundation provides. Back In Motion's Workplace Giving Program supports the SOS Health Foundation. This means all staff have the opportunity to personally make an impact in the lives of people in their local area and the wider community. If you would like to support the work of SOS Health Foundation through a Workplace Giving Program or make a one off, tax deductible donation, visit SOS Health's donation webpage or contact Lynda. On the first Tuesday of September each year, our network takes part in SOS Health Foundation's major annual fundraising event work4significance® Day. Practices donate revenue from services delivered on the day. Staff can also choose to donate all or a portion of their day's wage to SOS Health. 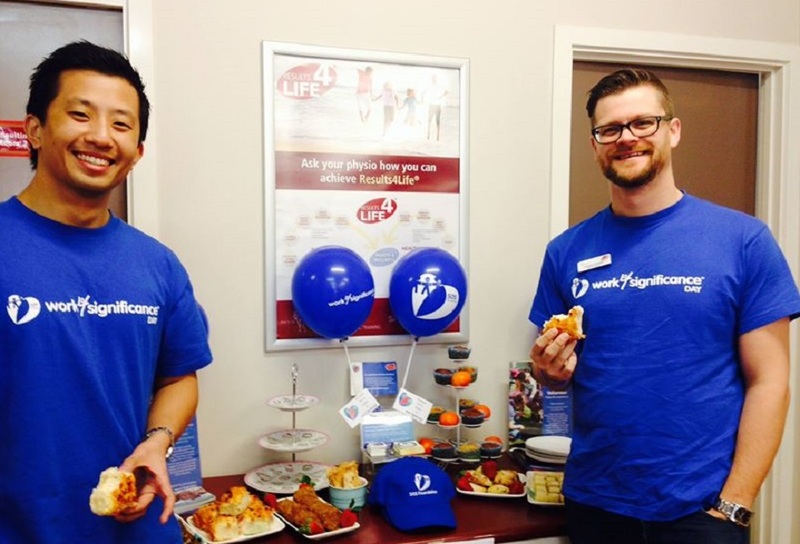 Pictured above, Greg, Jeremy and the team at Back In Motion Mount Barker put on a bake sale and donated money from services delivered on work4significance® Day to SOS Health. Both physiotherapists and non-clinical staff take part in health outreach to places like Palm Island (Qld) and North Eastern Arnhem Land (NT). Physio and Director of Back In Motion Bayswater, Kane has volunteered several times, providing his clincial services in remote Australian communities. 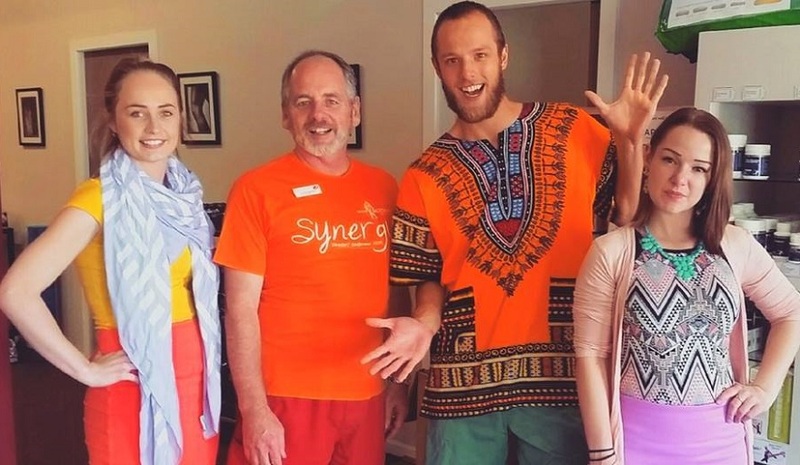 A number of practices put on special local events, such as casual or dress up days for staff in practice just like the team at Back In Motion Woodville, pictured above, do on a monthly basis. Back In Motion is a registered reseller of dot.physio and other online products. All profits from the sale of any of these products will be donated to the SOS Health Foundation.